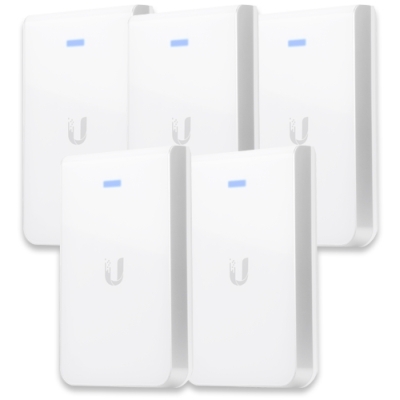 The Ubiquiti UniFi AP In-Wall Pro transforms an existing LAN wall connection into a dual-band wireless AC access point with speeds of up to 450 Mbps (2.4 GHz) + 1300 Mbps (5 GHz). The device has 3 Gigabit Ethernet ports, one of which is suitable for powering a PoE device (48V PoE out). 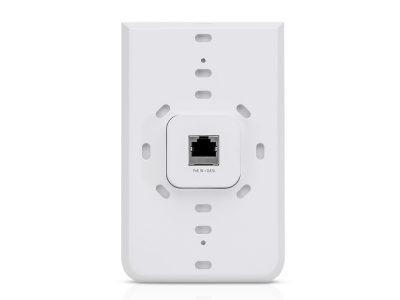 With the Ubiquiti UniFi AC In-Wall Pro you can convert an existing LAN connection in the wall into a wireless access point. 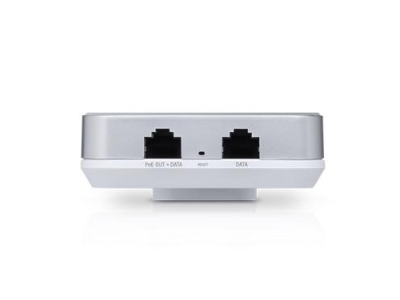 This professional dual-band access point achieves speeds of up to 450 Mbps at 2.4 GHz and 1300 Mbps at 5 GHz. The 802.11ac WiFi standard is used for this, so that almost all mobile devices can be connected. The two integrated antennas ensure an excellent range indoors. The AP AC In-Wall is very suitable for offices and other spaces where access points must be placed out of sight. 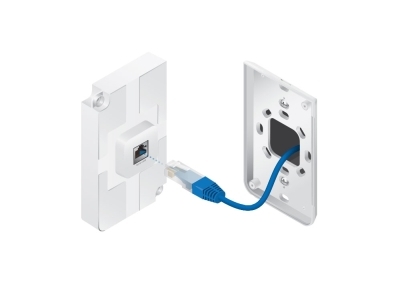 The Ubiquiti UniFi AC In-Wall Pro has 3 gigabit LAN ports, one of which supports 48V PoE passthrough to provide power and data to a network device such as an IP telephone or IP camera. The access point itself is powered via PoE 802.3at (PoE +). 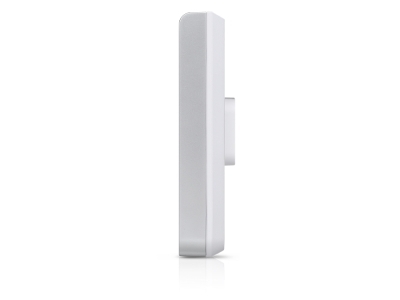 The Ubiquiti UniFi AC In-Wall Pro is easily managed via the UniFi Controller software. For example, quickly create your own login portal in HTML or PHP (via an external portal) with your company logo and corporate identity. The software makes it very easy to manage the AP AC In-Wall, so that the settings can also be easily adjusted by people with little knowledge of networks. With the help of the LED status light on the housing you can see at a glance what the status of the access point is. After a successful installation, the light will illuminate blue, indicating that the device is working properly. When you click on 'locate' in the UniFi Controller software, the light will flash. A blue light that flashes only occasionally indicates that the access point is isolated. All WLANs are then deactivated until an uplink is found.